Have you ever wanted to know which dog breeds have the most energy? It's important to understand what you are getting into before you get a dog. All dogs need training and exercise, but high-energy dogs need a lot more than you may think. Without adequate mental and physical stimulation, high-energy dogs can develop behavior problems. Be sure to consider the energy level when choosing a dog. High-energy dogs thrive when they have a very strong foundation of training as well as a daily routine that includes lots of exercise and mental stimulation. Running alone might not be enough for some of these dogs. High-energy dogs will do best if the exercise is both mental and physical. Hiking is a great choice for dogs with great endurance as it stimulates their senses. 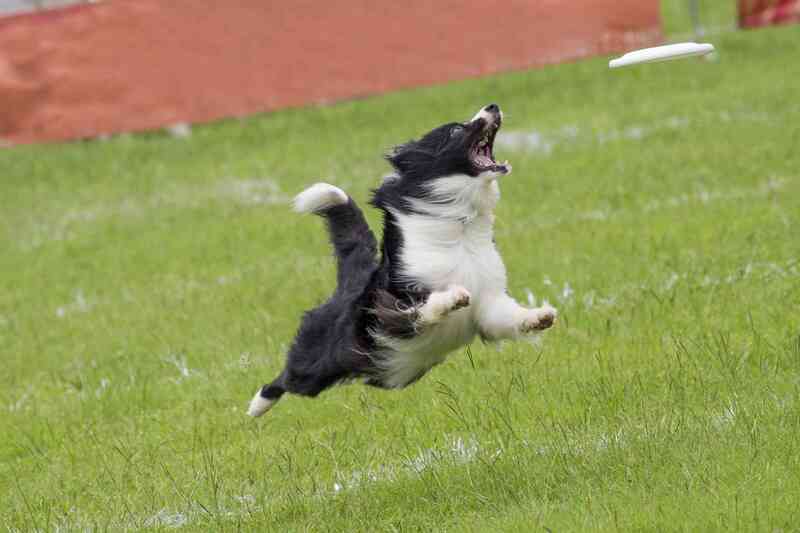 Most high-energy dogs are very well-suited to dog sports. If you are not certain about your dog's activity needs, it's best to provide as much as possible until you can find the right amount. Not enough, and your dog may act restless, bored, or even agitated. He may chew himself raw even if he has no skin problems. He may cause destruction in your home. He may even become depressed. On the other hand, be sure not to overdo it. If your dog lies down in the middle or exercise or seems reluctant to go on excursions, you might need to back down on the activities. If your high-energy dog suddenly cannot handle the activities he once loved, you should visit your vet for a check-up. Who Should Get a High-Energy Dog Breed? Before you get a high-energy dog, ask yourself if you are willing and able to dedicate the time to train and exercise your active dog. High-energy dogs can be great for owners who live active lifestyles. However, high-energy dogs are not appropriate for people who are very sedentary or too busy to provide the exercise and stimulation these dogs require. In addition, a high-energy dog breed may not be ideal for a first-time dog owner. If you still really want a high-energy dog, it's best to seek advice from dog trainers, behaviorists, veterinarians, and other dog owners. Make sure you have a plan in place before you get your high-energy dog (rather than waiting for the problems to start adding up). Which Dogs Have the Most Energy? No two dogs are exactly alike, but the breed is a large factor in determining activity level. 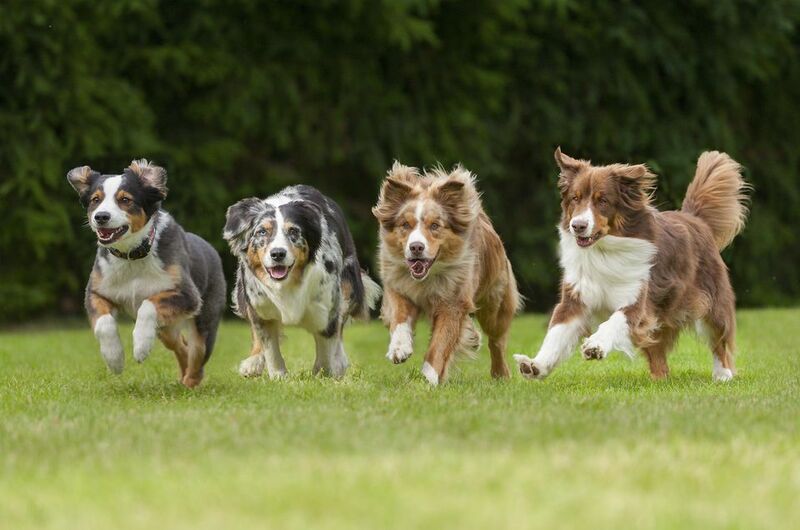 Most of the dog breeds in the AKC Herding, Working, and Terrier groups can be considered high energy dogs. Some mixed-breed dogs will end up being high-energy dogs, but you may not be able to predict it when these dogs are puppies. As you get to know your dog, you can offer more or less activity as needed. The following dog breeds are some popular examples of high-energy dogs. Of course, there are dozens more, so be sure to do your research before choosing a dog for you. The Border Collie is a highly intelligent and extremely active dog breed. These dogs are perhaps best known for their natural abilities in agility and disc competition. Border Collies can make excellent pets, but first and foremost they need a job to do. Their natural instinct is to chase and herd (they originated as sheepdogs). If you don't give your Border Collie a job, he will likely find one on his own (unfortunately, that usually means chasing anything that moves, including cars). Find Border Collies a purpose that allows them to move their bodies and minds, and you will see how amazing and incredible these dogs truly are. Very much like Border Collies, Australian Shepherds are extremely intelligent and energetic. They also excel at dog sports like agility and disc competition. Historically, they were bred and raised to herd livestock and work on farms. Therefore, they will likely seek out their own "work" in the form of chasing or herding other animals or kids. Some Aussies may act a stubborn, grumpy, or aloof if not given structure, training, and proper exercise. However, when given all the activity they need, Aussies are wonderful companions for all kinds of families. The Australian Cattle Dog is a powerful, hard-working dog bred to herd cattle. As you can probably guess, a dog that has the energy and strength to herd cattle will easily get bored as a pet unless given the proper amount of exercise and stimulation. These dogs have similar skills to those of the Border Collie and Australian Shepherd. They excel at most dog sports and do best if they have some kind of "job" to do. Most terriers can be considered energetic, but some really top the list. You may be surprised to know that the smaller terriers seem to have more energy than their little bodies can contain! One thing is for certain: these are not lazy lap dogs! Jack Russell Terriers, Parson Russell Terriers, Russell Terriers are three very similar dog breeds, all with extremely high energy levels. Also among the most high-energy terriers are Rat Terriers and Wire Fox Terriers. Without training and some kind of vigorous exercise, these small terriers can become escape artists, diggers, and barkers. Some may even get frustrated and start showing signs of aggression. Consider getting your small terrier involved in some kind of dog sport like agility, barn hunt, or even canine freestyle. Also, make sure you take the time to properly train your terrier. The Weimaraner descends from hunting dogs and continues to have that drive today. These are friendly affectionate dogs with a tendency to be hyperactive. Without structured training and a tremendous amount of exercise each day, Weimaraners can become stressed, anxious, and even destructive. Training can be a challenge in Weimaraners (especially puppies) because they just seem to be "all over the place." They may have short attention spans and be easily distracted. Sometimes, you just need to let these dogs run wild and goof off (in a safe, enclosed area) before you can wear them out just enough to pay attention to training. Too much, and they'll be too tired to focus. Find out what they value (food, tennis balls) and use these rewards when training. Have patience and be consistent. Rather than focus on one or two breeds, I want to focus here on a general category of dogs. Pit bull-type dogs may include American Pit Bull Terriers, American Staffordshire Terriers, Bull Terriers, American Bulldogs, Staffordshire Bull Terriers and more. These dogs are sometimes called "bully breeds" due to their lineage coming from bull-and-terrier types for dogs--not because some people think they are mean dogs (or bullies). Sadly, these types of dogs are often misunderstood. In reality, pit bull type dogs are usually highly affectionate, sensitive, and deeply connected to their owners. However, they are also very powerful, muscular, energetic dogs with high prey drives. Without proper training, socialization, exercise, and stimulation, they may develop behavior issues. Some will chase everything that moves. Others become reactive to other dogs or even some people. Fortunately, most pit-bull dogs are excellent companions when raised well and treated properly. Some pit bull type dogs have high energy and great strength, but not much endurance. Many tend to want activity in spurts. Weight pulling is an ideal choice for pit-bull type dogs. This competitive dog sport literally involves dogs pulling weighted carts attached to harnesses. The Belgian Malinois is often used as a working dog for police or military. These dogs absolutely must have some kind of job in order to thrive. If you chose to get a Malinois as a pet, make sure you try out several types of dog sports and let your dog participate regularly. Nose work and tracking are great options for mental stimulation, but also be sure to add in some kind of activity that lets your Malinois run freely in a fenced area. Siberian Huskies were bred to pull sleds in freezing temperatures, so it should come as no surprise that they need plenty of exercise. Without the proper outlet for that energy, people will start calling your Husky a "spaz" or a maniac! And you'll probably agree. You can build off your dog's instincts and get him involved in sledding or even weight pulling. However, most Huskies will be happy if they can just keep moving. Just be careful to avoid hot temperatures as they are extra sensitive to heat. The Dalmatian is often associated with Disney's 101 Dalmatians, leading people to think this is an easygoing dog that is great with kids. Unfortunately, this is not typically the case. Dalmatians are driven to work and may seem hyper and high-strung if no "job" is provided. Some develop bad habits, such as excessive barking or even snapping at people. The Dalmatian was historically used as a coaching dog (with horses) but has worked in many other capacities. This is an agile, athletic dog that can be a great running or hiking partner. Dalmatians can excel at many dog sports. When well-trained and properly exercised, the Dalmatian can be, and excellent companion (even for kids). However, it is essential to provide lots of exercise each day and to consistently and work on training. Boxers are known to be big, goofy, lovable, and somewhat hyperactive. These popular dogs make wonderful companions for all kinds of families, but they need structure, routine, and exercise to keep them from acting too wild and wacky. Similar in some ways to the Weimaraner, your Boxer may have a short attention span and be easily distracted. Train with rewards, using patience and consistency. If your Boxer is well-socialized and likes to play with other dogs, doggy daycare may be a great option. In addition, long walks and games may be enough to fulfill your Boxer's needs if done regularly.